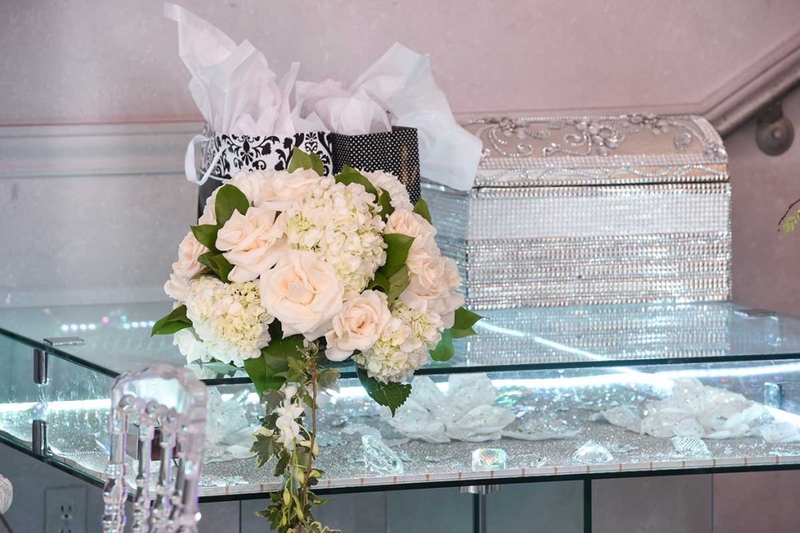 With over 6,000-square-feet of luxuriously-decorated space, sumptuous on-site catering, and the industry’s most accommodating service staff, Vatican Banquet Hall has emerged as one of the most sought-after event and wedding venues in Los Angeles. 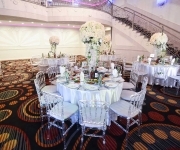 Opulent and charming, Vatican’s magnificent hall allows clients to effortlessly entertain up to 500 guests, making it the ideal place to host wedding ceremonies and receptions, social events like Quinceaneras and anniversaries, and professional corporate functions like conferences and awards banquets. Unlike typical L.A. venues, Vatican also offers comprehensive, hands-on event planning services—simply tell our experiences coordinators what type of decorations, cuisine, service style, and entertainment you desire at your party, reception, gala, or conference, and we’ll help bring your vision to life. 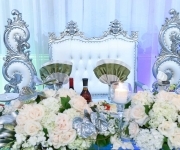 For the perfect backdrop for life’s most precious memories, look no further than Vatican Banquet Hall in Los Angeles. 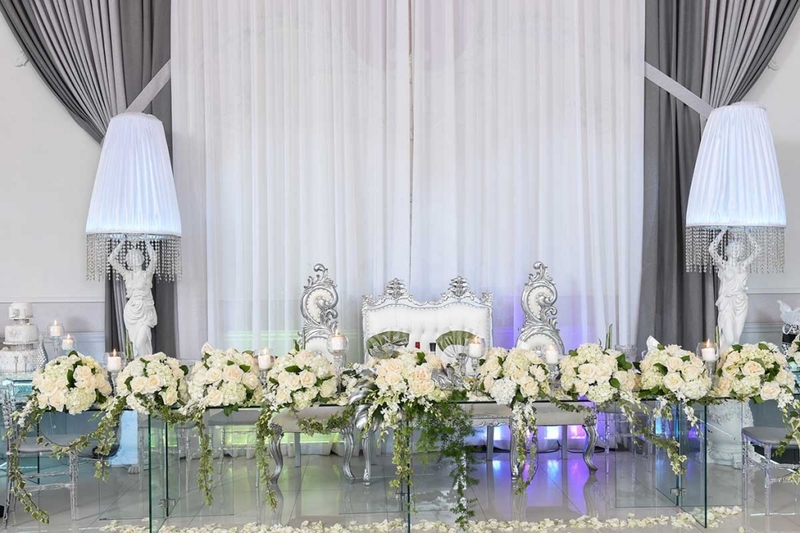 Beauty, romance, sophistication, energy—your bridal venue should not only mirror these quintessential wedding-day qualities, it should elevate your special occasion to new, dazzling heights. 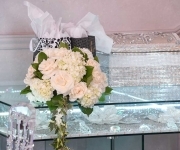 As one of Los Angeles’ most beautiful wedding venues, Vatican Banquet Hall provides an unforgettable backdrop for your unique wedding ceremony, wedding receptions, photographs, and more. Indulge on delicious cuisine, kiss under the magnificent crystal chandeliers, then dance all night in the colored glow of Vatican’s custom LED lights; from the moment you reserve our exquisite event space until your last guest leaves, our meticulous staff will make sure everything goes perfectly. Designed to create an inimitably lavish experience, Vatican’s Ballroom is unmatched in both beauty and character. Featuring an exquisitely polished dance floor that reflects the trio of crystal chandeliers above, twin curved staircases that give an impression of Italian palatial grandeur, and fully-customizable LED ambient lighting throughout, the 6,000 square-foot event space can easily transform to complement any event. 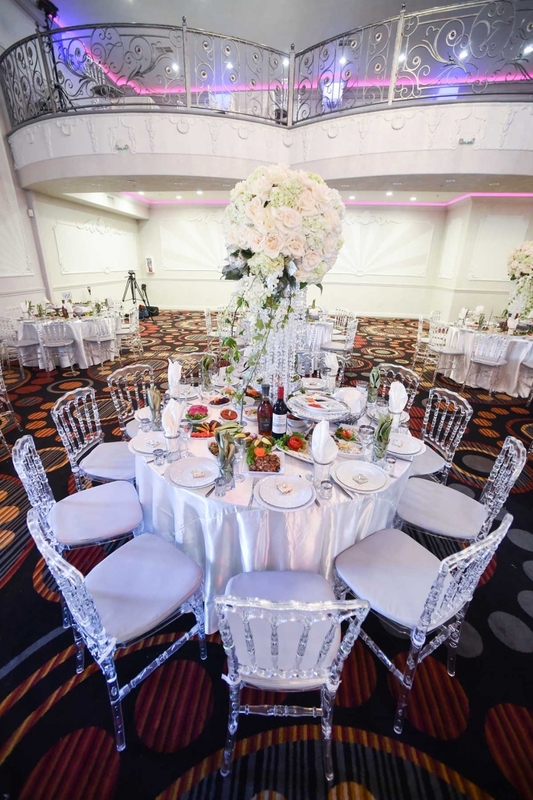 Whether you desire a soft, elegant aura or an energetic, club-like atmosphere, we guarantee that Vatican will leave an indelible impression you and your guests. From the internationally-trained culinary experts to our detail-oriented service staff, Vatican Banquet Hall’s team is here to grant any request and ensure you and your guests feel pampered. 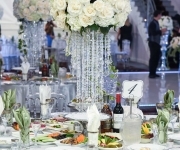 By offering the industry’s most comprehensive event-planning services with every reservation—including an extensive list of recommended vendors to indulge every inclination—Vatican is able to create the perfect event venue experience for your wedding reception, milestone birthday party, or company awards banquet. Regardless of your budget, we promise to surpass your wildest expectations. It’s no secret; great food brings people together. 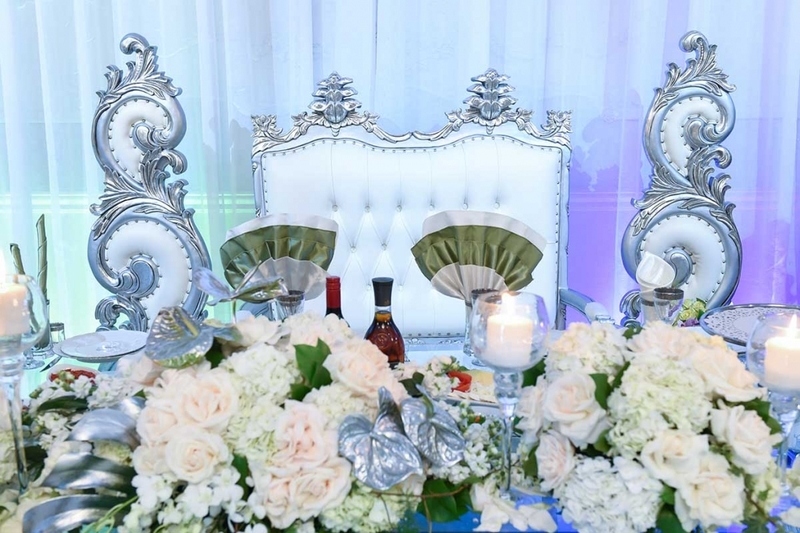 At Vatican Banquet Hall, we provide only the best internationally-inspired cuisine prepared from the freshest ingredients and served exactly how you want it. 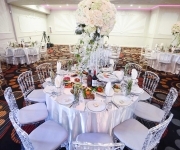 Our custom catering service allows every client to select from a near-limitless number of cuisine options, including Middle Eastern, Mediterranean, Mexican, and traditional American fare, and each event may feature any combination of passed-tray, family-style, buffet style, or fine-dining service. Just say the word, and our culinary experts will make your fantasy a reality. 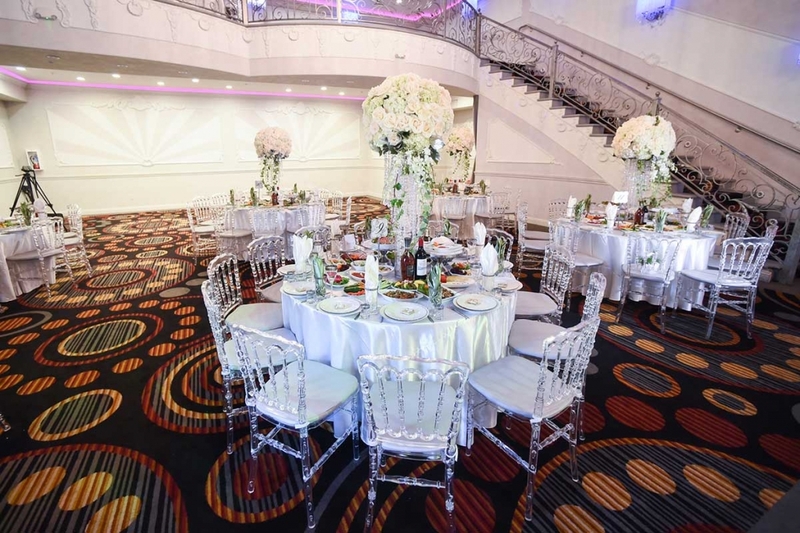 At Vatican Banquet Hall, we believe a world class event venue experience should be available to everyone, regardless of budget restrictions. 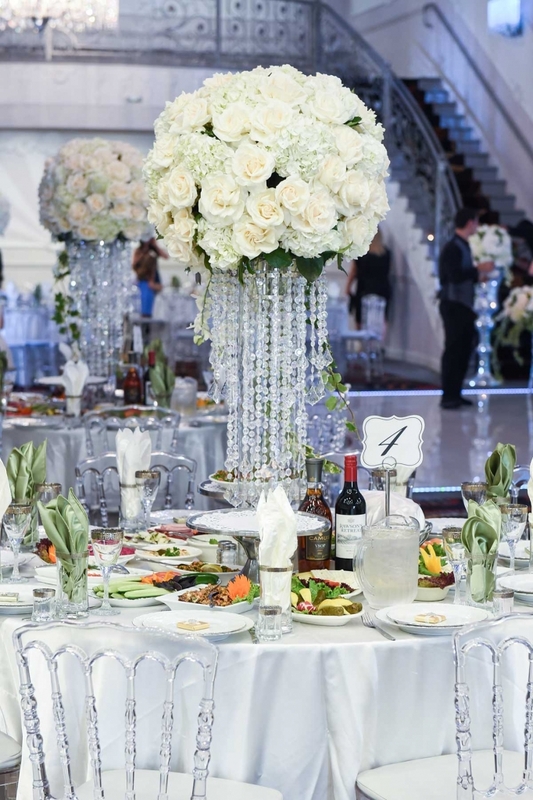 With flexible pricing packages and rates comparable to less impressive Los Angeles wedding venues and event spaces, Vatican puts our immaculate service, awe-inspiring hall, and unparalleled cuisine within everyone’s reach. 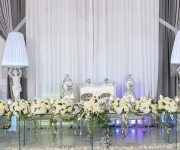 Don’t compromise, call Vatican Banquet Hall today, and we’ll find a way to make your dreams come true.